As typical Islamist-leftist theater to delegitimize Israel, late May's Turkish-sponsored "Free Gaza" flotilla was tediously repetitious. As an illustration that Israelis don't understand the kind of war they now must fight, the outcome was drearily predictable. But as a statement of Turkey's policies and an augur of the Islamist movement's future, it bristled with novelty and significance. Best of friends? Erdoğan (left) with Ahmadinejad. Some background: after some 150 years of faltering efforts at modernization, the Ottoman Empire finally collapsed in 1923, replaced by the dynamic, Western-oriented Republic of Turkey founded and dominated by a former Ottoman general, Kemal Atatürk. Over the next fifteen years, until his death in 1938, Atatürk imposed a Westernization program so stringent that at one point he suggested replacing rugs in mosques with church-like pews. Although Turkey is nearly 100 percent Muslim, he insisted on a purely secular state. Atatürk never won the entire Turkish population to his vision and, with time, his laic republic increasingly had to accommodate pious Muslim sentiments. Yet Atatürk's order persisted into the 1990s, guarded over by the military officer corps, which made it a priority to keep his memory alive and secularism entrenched. Islamists first acquired parliamentary representation in the early 1970s when their leader, Necmettin Erbakan, already served three times as his country's deputy prime minister. As mainstream Turkish political parties frittered away their legitimacy through a disgraceful mix of egoism and corruption, Erbakan went on to become prime minister for a year, 1996-97, until the military asserted itself and threw him out. Some of Erbakan's more agile and ambitious lieutenants, led by Recep Tayyip Erdoğan, in August 2001 formed a new Islamist political party, the Adalet ve Kalkınma Partisi or AKP. Just over a year later, it won a resounding 34 percent plurality of votes and, due to the vagaries of Turkish electoral regulations, dominated parliament with 66 percent of the seats. Erdoğan became prime minister and, by dint of good governance, AKP won a very substantial increase in vote and reelection in 2007. With a renewed mandate and an increasingly sidelined military, it aggressively pursued elaborately fake conspiracy theories, fined a political critic US$2.5 billion, videotaped the opposition leader in a compromising sexual situation, and now plans to alter the constitution. Foreign policy, in the hands of Foreign Minister Ahmet Davutoğlu, who aspires for Turkey to regain its former leadership of the Middle East, over-reached even more blatantly. Ankara not only adopted a more belligerent approach to Cyprus but recklessly inserted itself in such sensitive topics as the Iranian nuclear buildup and the Arab-Israeli conflict. 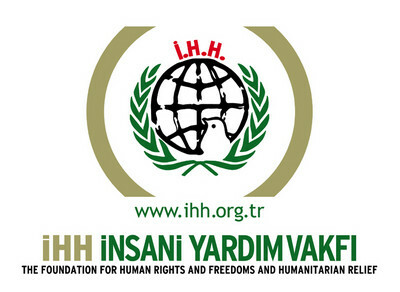 Most surprising of all has been its backing for IHH, a domestic Turkish "charity" with documented ties to Al-Qaeda. If Ankara's irresponsible behavior has worrisome implications for the Middle East and Islam, it also has a mitigating aspect. Turks have been at the forefront of developing what I call Islamism 2.0, the popular, legitimate, and non-violent version of what Ayatollah Khomeini and Osama bin Laden tried to achieve forcefully via Islamism 1.0. I have predicted that Erdoğan's insidious form of Islamism "may threaten civilized life even more than does 1.0's brutality." But his abandonment of earlier modesty and caution suggests that Islamists cannot help themselves, that the thuggishness inherent to Islamism must eventually emerge, that the 2.0 variant must revert to its 1.0 origins. As Martin Kramer posits, "the further Islamists are from power, the more restrained they are, as well as the reverse." This means it might be the case that Islamism presents a less formidable opponent, and for two reasons. First, Turkey hosts the most sophisticated Islamist movement in the world, one that includes not just the AKP but the Fethullah Gülen mass movement, the Adnan Oktar propaganda machine, and more. 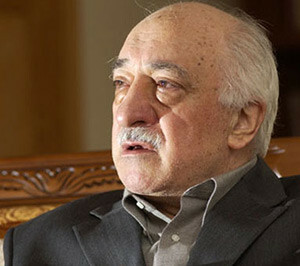 AKP's new bellicosity has caused dissension; Gülen, for example, publicly condemned the "Free Gaza" farce, suggesting a debilitating internal battle over tactics could take place. Second, if once only a small band of analysts recognized Erdoğan's Islamist outlook, this fact has now become self-evidently obvious for the whole world to see. Erdoğan has gratuitously discarded his carefully crafted image of a pro-Western "Muslim democrat," making it far easier to treat him as the Tehran-Damascus ally that he is. As Davutoğlu seeks, Turkey has returned to the center of the Middle East and the umma. But it no longer deserves full NATO membership and its opposition parties deserve support. June 8, 2010 update: For extras that did not fit the main article, see "More on Islamist Turkey Overreaching."